Assess the impact of noise on physiology, comfort, health, mental capacity, behavior, and productivity. Describe the myths and truths in the design world as they relate to acoustic building practices. Recognize how ceiling panels with high noise reduction coefficient ratings (NRC), such as those made of stone wool, can lead to compliance with the building standards, guidelines, and rating systems from multiple perspectives. Explain the mechanics of optimized acoustic design and differentiate between optimizing absorption and optimizing blocking using modular, suspended, acoustic ceilings, and other architectural components. Anyone who has ever tried to work in a busy office or get some sleep during a hospital stay knows that the noise surrounding us—whether it’s your coworker’s exuberant laugh or machines beeping down the hall—can affect our mental and physical well-being, not to mention productivity and general state of satisfaction with our environment. As awareness of the impact noise has on our daily lives increases, it’s only logical that building standards and guidelines are becoming more stringent when it comes to acoustic requirements. In order to meet many of these higher-performance criteria, architects and designers need to make a concerted effort to consider how every structure, surface, fixture, material, and even gap plays a role in the way sound is experienced. For the best results, this means focusing on the true strength of acoustic ceiling panels: noise absorption. New optimized acoustic design approaches can help architects and designers meet and exceed more stringent industry standards, guidelines, and requirements in modern building construction. 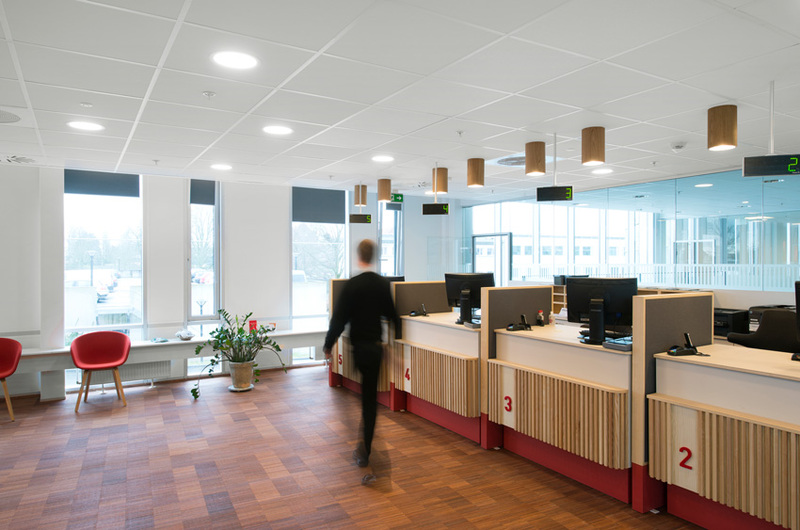 Designers and architects are now tasked with the challenge of navigating the wide range of ceiling panel solutions available in the marketplace. Although some products attempt to absorb and block noise, there is actually a misconception that ceilings alone can block sound between rooms. The reality is, modular acoustic ceilings by themselves do not have enough mass to block sound. Additionally, ceiling systems will always have substantial noise leaks—created by installing light fixtures and air devices—making them even less effective at blocking sound. In this course, we will look at the effects of noise, how to determine the type and level of noise mitigation required for a given project, as well as look at the factors that go into meeting and exceeding new industry standards, guidelines and requirements through the latest optimized acoustic design approaches. It is no surprise that noise affects physical and mental health, productivity, and overall well-being. The first step toward an optimized acoustic experience is to understand its importance for our daily lives. Acoustics have a major impact on business productivity, accuracy, and costs, which can affect resources and the bottom line. With all that in mind, it is essential to recognize the potential productivity and financial impact of bad acoustics. While some people still view noise as only a minor, short-term annoyance, appreciating the major impact of acoustics on business productivity, accuracy, and costs can affect resources in a big way.